This cool little contemporary home sits up above a river, with views of the water below. 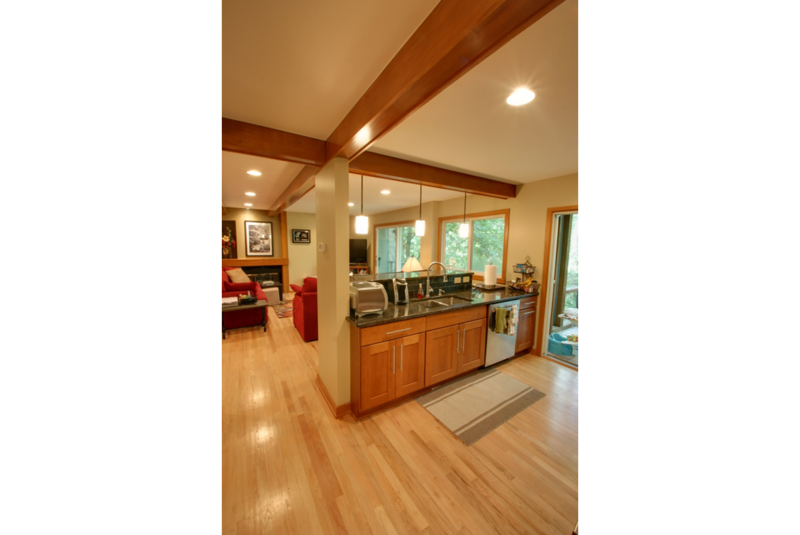 A closed-in kitchen that blocked views of the water, an awkward L-shaped living room, no utility storage, and too much space devoted to the “den” were robbing the owners of a comfortable daily life in their home. 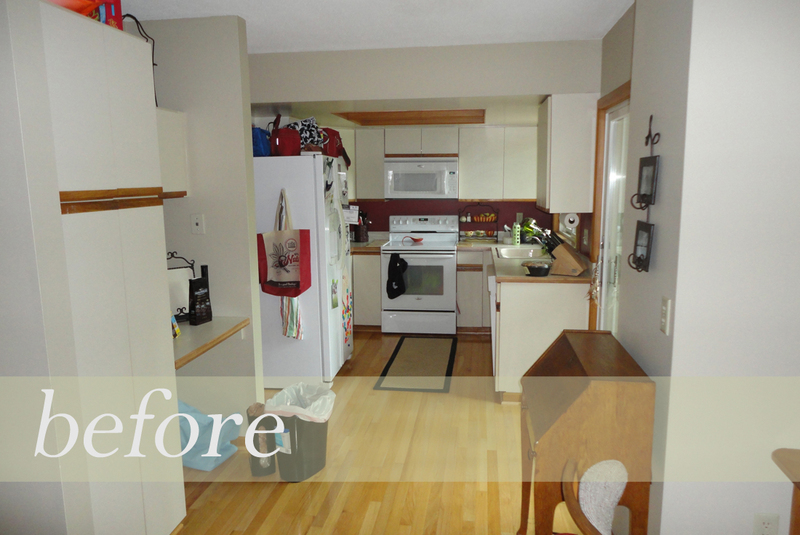 The redesigned house, including a contemporary kitchen remodel, is dramatically better. You can see the dated, awkward arrangement in the “before” photo above. 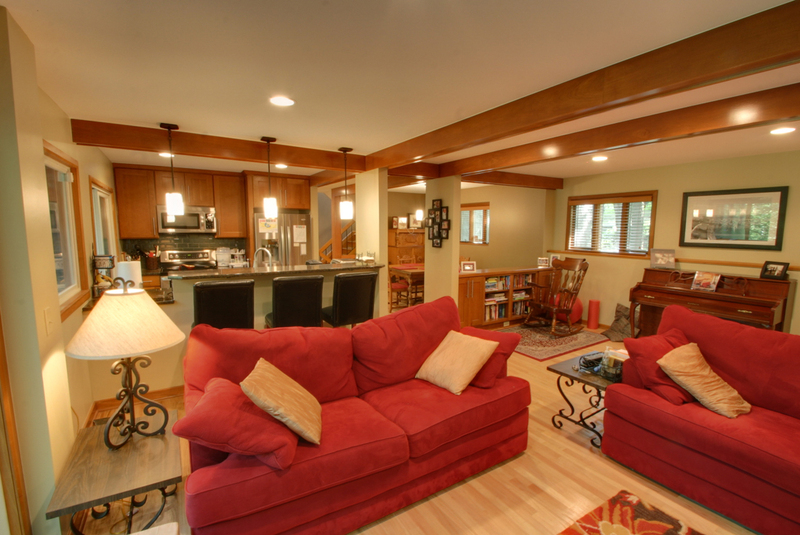 What they wanted was a new kitchen, pantry, mudroom, office, much better living space, and better views of the river. With so much on their wish list, it’d be natural to think that adding on would help. Yet a close study of the house revealed that the problem wasn’t a lack of space, it was lack of well-planned space. So here’s what we did to get this home working the way it should, without adding a single new square inch. 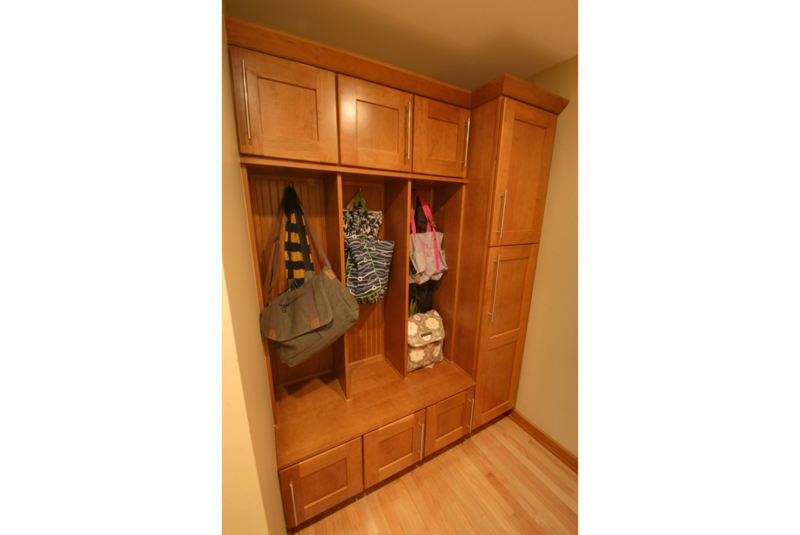 The den was pushed towards the back of the house, freeing up space for a coat closet, mudroom shelving, and large pantry. 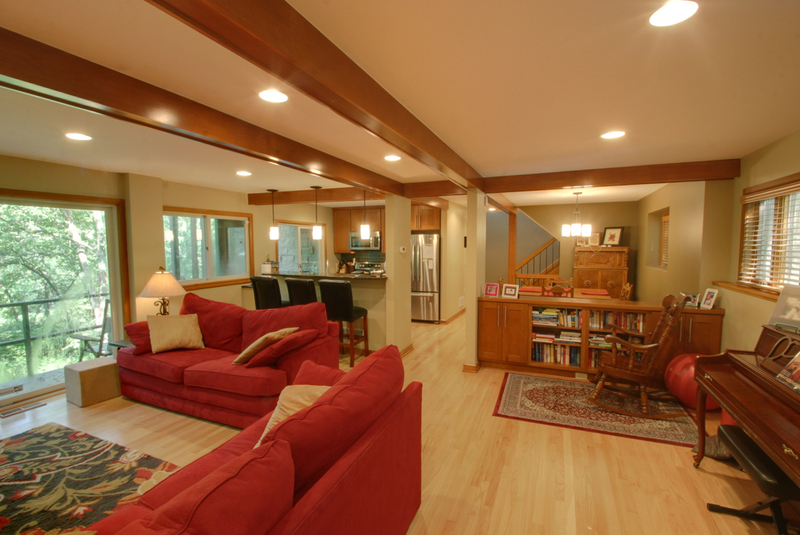 That allowed us to move the kitchen towards the right side – which opened up the family room. 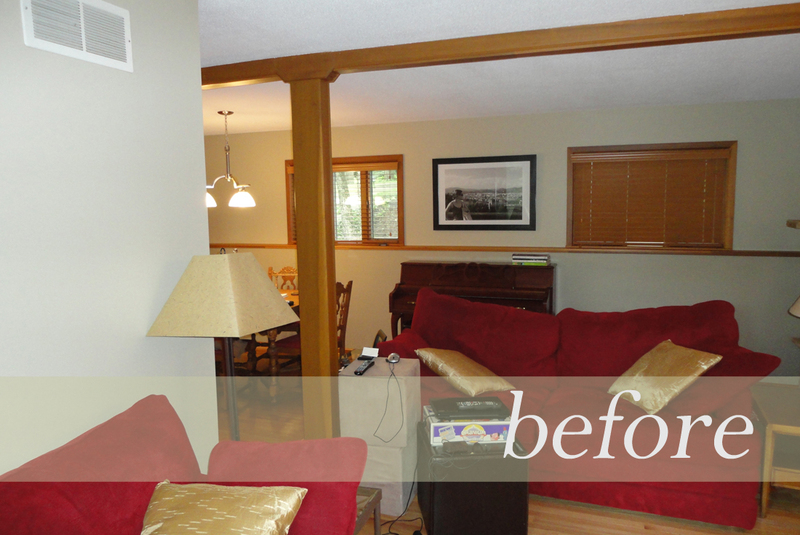 The dining area stayed where it was, but with a low bookshelf separating it from the family room. 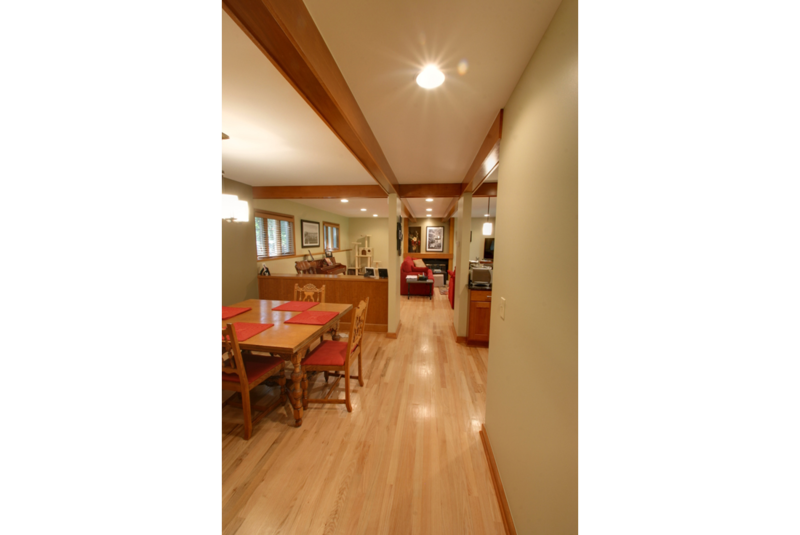 Partial removal of the wall between the dining room and stair opened the floor plan even more – and allowed us to design a new railing that matched the character of the existing woodwork. The result is an open, comfortable living space that seems much bigger than it is and is packed with storage and practicality. 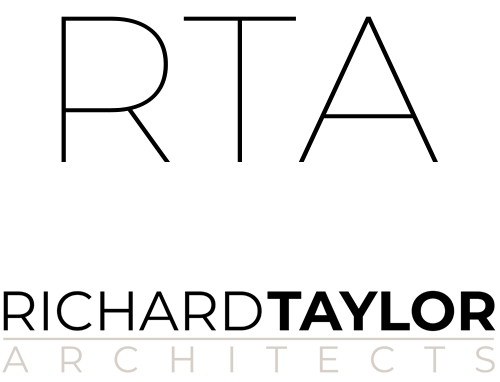 Contact me to schedule an initial consultation on your contemporary kitchen remodel project.